He is being probed for terror and money laundering charges by the National Investigation Agency (NIA). He fled from India on July 1, 2016 after terrorists in neighbouring Bangladesh claimed that they were inspired by his speeches on waging jihad. 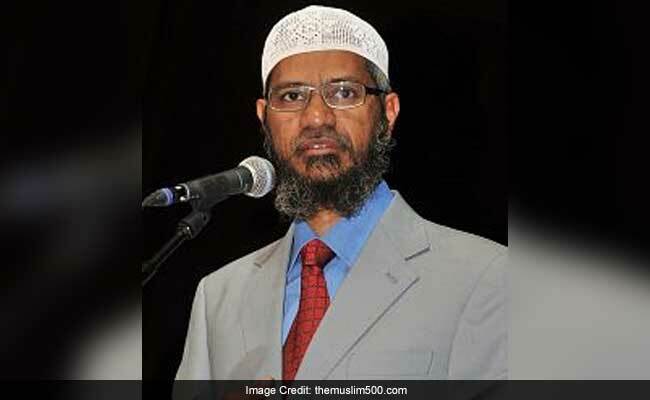 New Delhi: Controversial Islamic preacher Zakir Naik, wanted in connection with alleged terror funding cases, has been served with a show cause notice by passport authorities asking him why his travel document should not be revoked. Fifty-one-year-old Naik, who was issued a notice last week, has been asked to submit a reply in person by July 13, official sources said. It is unlikely that Naik, who has been served summons by the NIA on earlier occasions, will turn up before the passport authorities in Mumbai. According to 'Middle East Monitor', an online news portal on developments in Middle East, Naik has already been granted citizenship of Saudi Arabia. There was no independent verification to this so far. Naik had his passport renewed in January last year and it has a validity for 10 years. The NIA, on November 18, 2016, had registered a criminal case against Naik at its Mumbai branch under various sections of Indian Penal Code and Unlawful Activities (Prevention) Act. His organisation, Islamic Research Foundation (IRF), has already been declared as an unlawful association by the government a day prior to registering of the case. The sources could not give the exact country where Naik could be at present and said that he may be changing his base quite frequently after the NIA moved the Interpol for issuance of a Red Corner Notice (RCN), international arrest warrant, against him. The Interpol was approached against Naik after a yearlong probe during which the NIA gathered evidence of his IRF and Peace TV being used to allegedly promote hatred between different religious groups. The central government has already banned his NGO and taken his TV channel off air. During the probe, the NIA claimed to have found 37 properties owned by Naik and companies run by him, which are estimated to be worth more than Rs 100 crore. A special NIA court in Mumbai, while issuing a nonbailable warrant against Naik, had said that "there are reasonable grounds to believe that Naik is evading arrest and that he will not voluntarily appear before the court or before the agency." The NIA alleged that Naik has been promoting enmity and hatred between different religious groups in India through his speeches and lectures on various platforms and inciting Muslim youths and terrorists in India and abroad to commit terrorist acts.